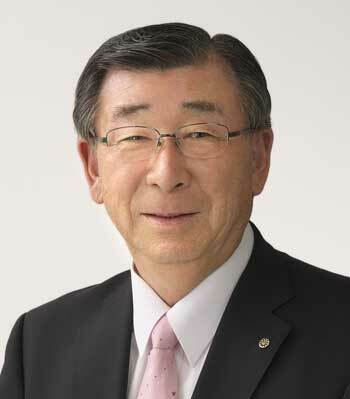 From February 31 Day Heisei 19 Day to Heisei 31 May 31 Day, we decided to accept the president of the Nagano prefectural village chapter as the successor of the former president. Municipalities in the prefecture are facing a declining birthrate, aging population, declining population, and strict financial management, insisting on the towns and villages' position from the country and the prefecture to support each city's small town and village shining, I have just made a decision to want to go. As for the job as a town mayor who is also a core business, I will continue to do my utmost with all my strength for town planning that took over the smiles of the townspeople to the future and that I feel good that I lived. Mr. Machimura is likely to be a hard worker, but I will make an effort to make this experience positive for Changwa-cho. As the town mayor's public affairs, the duty to stay in town and the official duty to go outside the town as a representative of the towns and villages in Nagano prefecture overlap, the time it takes to stay at the office will be short. So I will be in the government building from the 1st April Heisei 31, Saturdays, Sundays and public holidays within the scope of convenience. We are aiming for the town mayor room which everyone of the townspeople will feel free to enter. Those who wish to have the schedule checked to the General Affairs Division as you ask. Nagano Prefectural Village Association was an organization composed of 58 municipalities excluding the city in Nagano Prefecture, and was once a voluntary liaison agency of Municipal mayor in Nagano Prefecture, but due to the establishment of Local Autonomy Law in Showa 22 year, the name Has been reorganized as "Nagano prefectural village association" (reorganized 22 days in Showa 10 year), to promote the smooth operation of administrative administrations of municipalities, and to contribute to the development of local autonomy. The Nagano prefectural village association holds an office in the Nagano prefecture self-governing hall and carries out various activities.